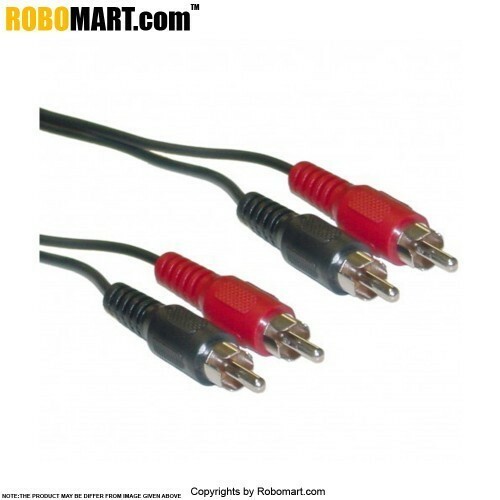 The 2 x RCA Male to Male video cable. Connect DVD players, LCD, TV and stereo players.100% copper stereo cable for clear sound. Soft PVC outer jacket for durability. Braided shield wrap prevents EMI/RFI interference. Economy, non - environment pollution. 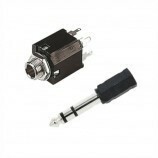 Cable OD 2 X 2.8mm. 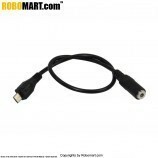 This cable is used in DVD player, LCD, TV, and stereo player etc. Also Searched as : rca male 2 male stereo audio cable, rca male 2 male stereo audio cable buy online india, rea stereo cable buy online india, buy online rca stereo cable 3 food, rca male 2 male stereo audio cable 3 food, buy online rca male 2 male stereo audio cable.